Home/Training Programme/Do you want to embark on a psychotherapeutic career in horse therapy? January Flash Sale on Horse Facilitated Therapy Course! 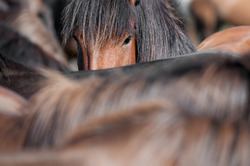 The role of the horse in treating Trauma and PTSD. There are no right or wrong answers, however by working with the horses, we may find our own unique path that could lead us to a place of resolution and peace. This course is for those wishing to professionally master the art of Equine Facilitated Human Development (EFHD). It is the first stage of training and focuses on training facilitators to work with individuals. After this course you will be qualified and be able to gain insurance to facilitate 1:1 EFHD sessions with clients. Ofqual regulated. This course is for those wishing to professionally master the art of Equine Facilitated Human Development (EFHD) with groups. It is the second stage of training and focuses on training facilitators to work with groups as well as individuals. Click here to find out more about training courses. 15% off the facilitator training starting 6th March 2017! Savings of nearly £1,500! This offer is only valid until Monday 6th Feb 2017 at midnight UK time so act now and Click Here to find out more details and to book your place. 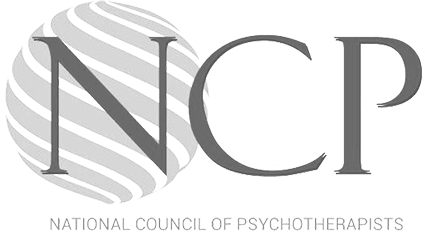 IFEAL Qualifications provides the only route for both qualified therapists and non-therapists to a psychotherapeutic qualification in equine therapy and professional membership with the National Council of Psychotherapists (more details below). IFEAL Q provides a career pathway for those that wish to develop a professional practice in the Equine Facilitated Human Development field. The next start date for the Ofqual regulated Crossfields Institute Level 5 Certificate in Equine Facilitated Human Development (VRQ) is 6th March 2017. The IFEAL Equine Facilitated Human Development (EFHD) Method, a behaviour change process for human development, growth and learning. The IFEAL EFHD Method, a behaviour change process for human development, growth and learning in a workshop format. A systematic approach to assess, formulate & treat CPTSD, PTSD & Trauma. Direct entry from level 5 possible. Train to become an IFEAL Faculty Member and to teach the IFEAL method. Direct entry from level 6 possible. IFEAL Q is registered on the Learning Provider List whose courses can be funded by a Professional and Career Development Loan (PCDL). For more details on the PCDL and how to apply, please follow this link. Graduate testimonial: “The focus on the emotional security of the horses, clients and facilitators at all times is paramount and this is one of many factors that sets the IFEAL Q training programme apart from others I researched, also huge importance is put on scope of practise and supervision and I have felt totally supported all the way through my first year, both by my wonderful mentor and indeed all of the team. For more testimonials, click here. If you’d like to speak to our graduate Maria Olarte and other graduates about the training, please email jenny@ifeal.me to arrange this. Our graduates would be more than happy to answer any questions you might have. 15 – 17 February 2017 A Deeper Sense of Knowing is a radical opportunity to take a personal inventory of ourselves, decide what we value in our lives and what changes we could make to improve our wealth, health and happiness.‘We are born with the potential to grow. Those of us who learn to actualise this potential will know lives of untold fullness and excitement. We will develop growth responses that will enable us to go anywhere and do anything. Those of us who do not learn to actualise this potential will know lives of waste and tragedy. The choice is ours’. Robert CarkhuffThis programme facilitates you to find ‘internal’ space to re-connect and access a fuller ‘Authentic Self’ potential to better ensure a future of success. This course fulfils the 3 day prerequisite required to attend the Level 5 Certificate. To find out how to apply and for full details on the training email us with any questions and to set up a free consultation to discuss the course further. Sun Tui and the IFEAL team.